The DSC Santa Dash 2018 is all set to go for Sunday 2 December 2018. This event will take place at the Laighills on 2 December starting at 10am. It is a great opportunity to raise funds for the club and two great charities, Strathcarron Hospice and StartUp Stirling. 50% of the funds raised by each individual age group will go to that age group directly so the more you raise, the more your team gets. 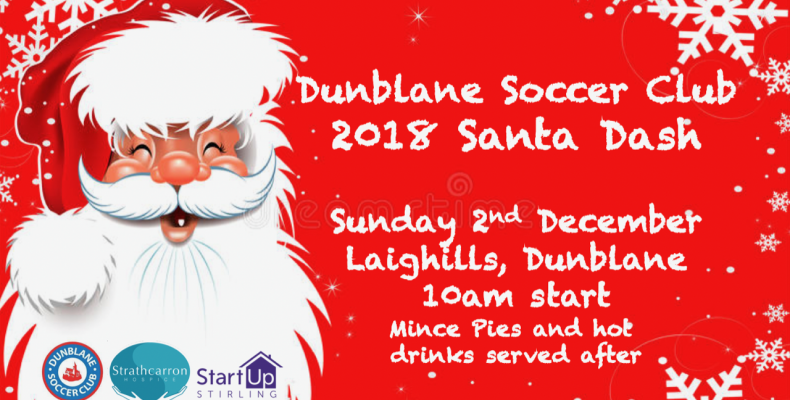 Players, coaches, parents and friends are all welcome to dash round a short distance, with hot chocolate and mince pies to motivate you to finish.